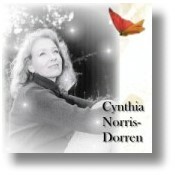 Singer/Songwriter Cynthia Norris-Dorren weaves a tapestry of thought provoking songs about the spiritual and emotional journeys of the human condition. 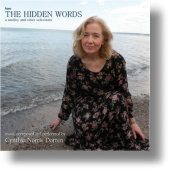 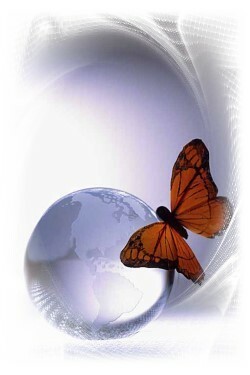 "HIDDEN WORDS" is a compilation of the Hidden Words of Bahá'u'lláh (founder of the Baha'i Faith) This CD is an inspirational experience not to be missed. 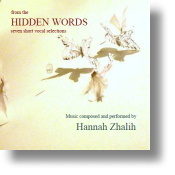 Portland artist Hannah Zhalih interprets the "HIDDEN WORDS" of Bahá'u'lláh (founder of the Baha'i Faith) through seven short acapella vocal renderings that are profoundly beautiful. 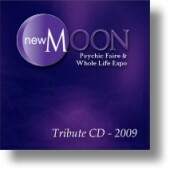 Our Song Portraits division was honored to create and produce the New Moon Expo Tribute CD this year.